Serious golfers are always looking to stay mobile as well as strong. That means paying attention to how the muscles work together and coming up with a training regimen that works the most important areas of a golfer’s physique — shoulders, hips and core — efficiently. ProBar mobility does just that. A simple bar (make that bars, as it can be split into dual shorter versions) that can be fitted with a couple of end weights, ProBar configures into three training “modalities” to perform a wide range of movements, from lunge-twists to overhead squats to deadlifts and shoulder presses . Its patented twist-and-pull feature with spring-loaded resistance corrects poor movement patterns and creates a wider, more precise range of motion; the half-bars with optional loading can be swung in all planes of motion for enhanced, injury-free performance. 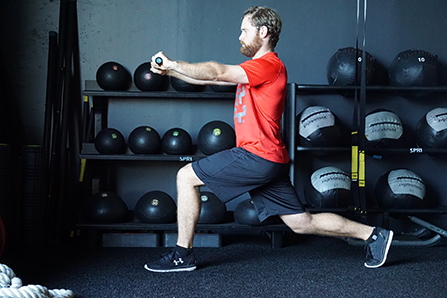 In addition, ProBar has partnered with Damon Goddard of AMPD Golf Performance to help golfers of all levels improve their overall game through better movement patterns and flexibility. Golf Tips testers attest that they fit well into a golf-specific training program, and take just a few minutes each day to be effective. www.probarmobility.com | Check the price on Amazon!